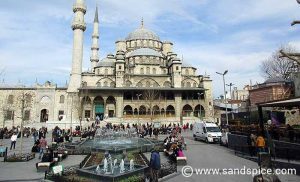 We dedicated our first full day in in the city to visiting some of the “must see” Istanbul mosques, museums and monuments. Because there are so many of these, and with a limited amount of time, we had to be quite selective. In part, this was made easier for us by the opening times of some of the places we wanted to visit. Hagia Sofia is supposed to be closed on Mondays, and we read that the Topkapi Palace was closed on Tuesdays. Since we had just a Monday and a Tuesday, we decided to start from the Blue Mosque and see how far we could get. 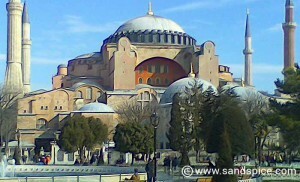 After the Blue Mosque, we found Hagia Sofia to be actually open on the Monday, so we visited there next. After that, we included the unscheduled (but very worthwhile) Basilica Cistern. These three places alone were enough to occupy our time and satisfy our cultural curiosity on our first day. We started our tour of Istanbul at the site of the former Hippodrome. The most visually-appealing structure here is the German Fountain. 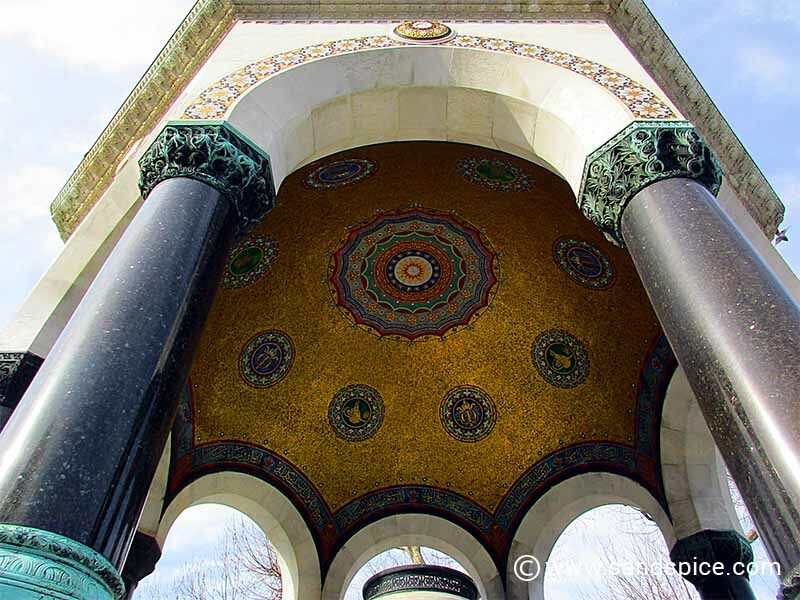 The fountain was a gift to the Sultan and the people of Turkey from Kaiser Wilhelm II. Following the bomb attack next to the German Fountain 4 weeks earlier (January 12th 2016), we noticed quite a few armed soldiers and armoured cars in the area. Further across the Hippodrome you can find monuments dating back to ancient Greece and Egypt. The Obelisk of Theodosius is an ancient Egyptian obelisk originally built at the temple of Karnak in 1450 BC. Only the upper third of the hieroglyph-filled obelisk still remains: The rest was damaged during transportation. Further down from the obelisk, you will see what looks like a broken twisted pipe. This is the remains of the Serpentine Column which was built in 478 BC in Greece. It’s said to be made from the melted down shields of fallen Persian soldiers defeated by the Greeks at the battle of Plataea. 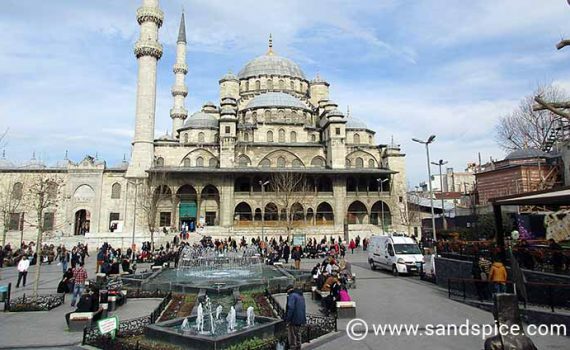 Just across from the Hippodrome is the Sultanahmet Park. The focal feature of this park is the large fountain in the center. 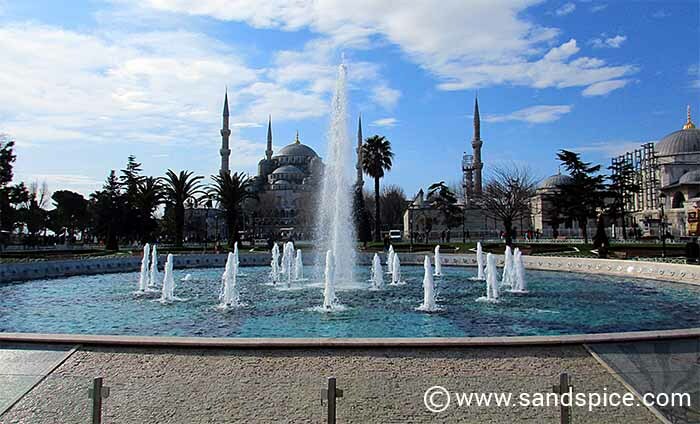 From the fountain, there are excellent views of the Blue Mosque to the south and Hagia Sophia to the north. This is a great spot for a makeshift picnic on one of the park benches. After dark the fountain and building exteriors are lit up with multi-coloured lights. 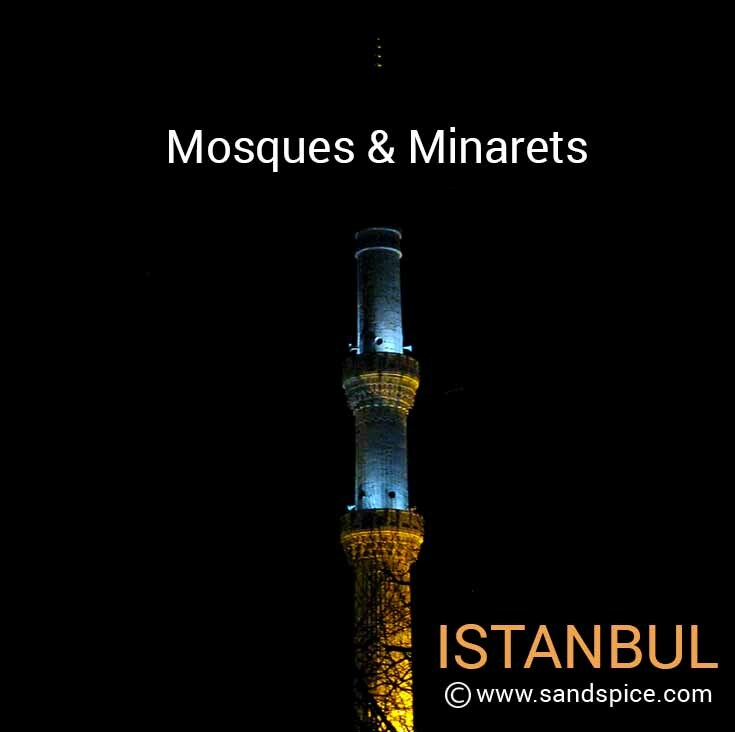 The Blue Mosque is characterized by its cascading domed architecture surrounded by 6 towering minaret spires. It was from these minarets that Imams used to announce the Call to Prayer five times a day. 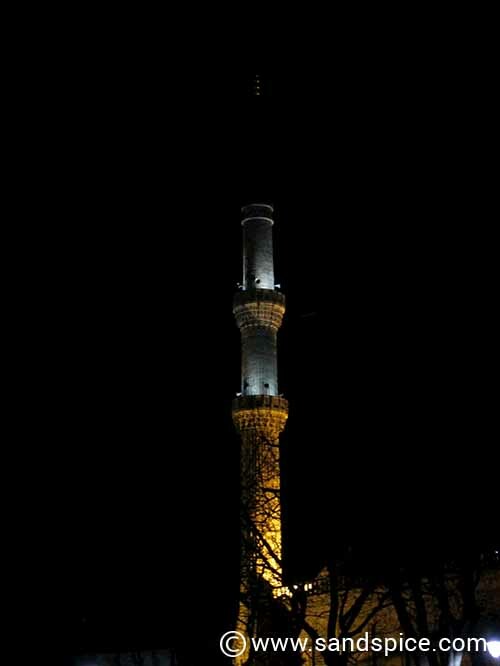 Nowadays, the minarets are fitted with speakers. 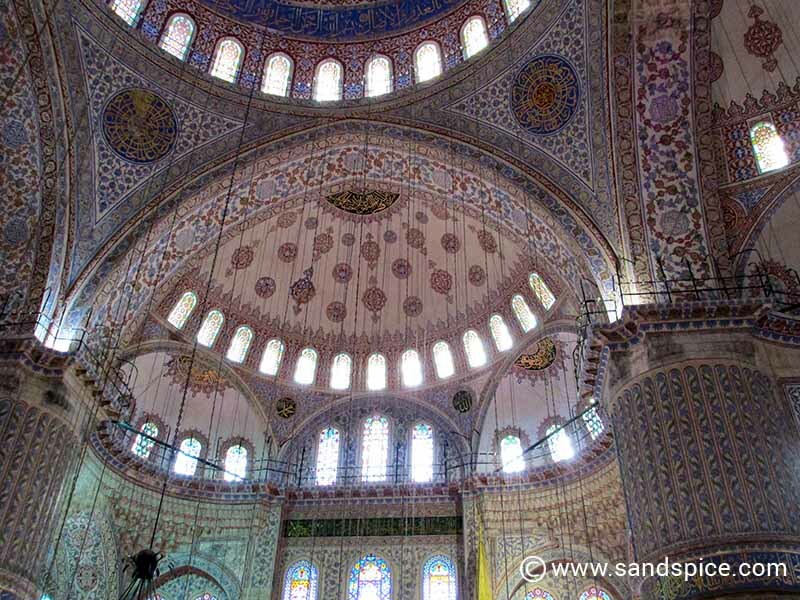 The interior of the mosque is decorated with over 20,000 blue tiles, with light from hundreds of windows. The resulting color effect was referred to by the French as turquoise, meaning “color of the Turks”. Worshippers are segregated, with only men allowed in the main area. Women must worship behind the railing next to the entrance. 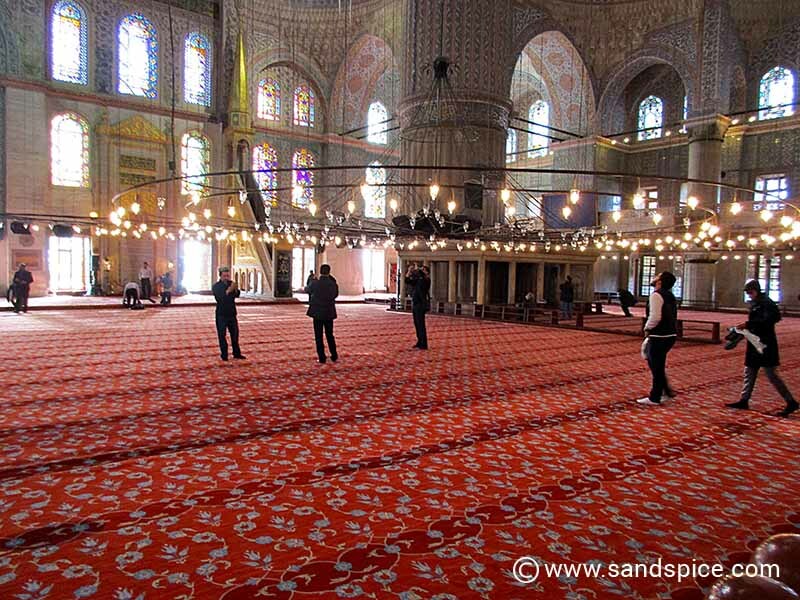 For any movie buffs, the Blue Mosque features in the James Bond film From Russia with Love – way back in 1963. Entrance to the Blue Mosque is free of charge. Entrance to the equally impressive Hagia Sophia, on the other hand, costs 30 TL. 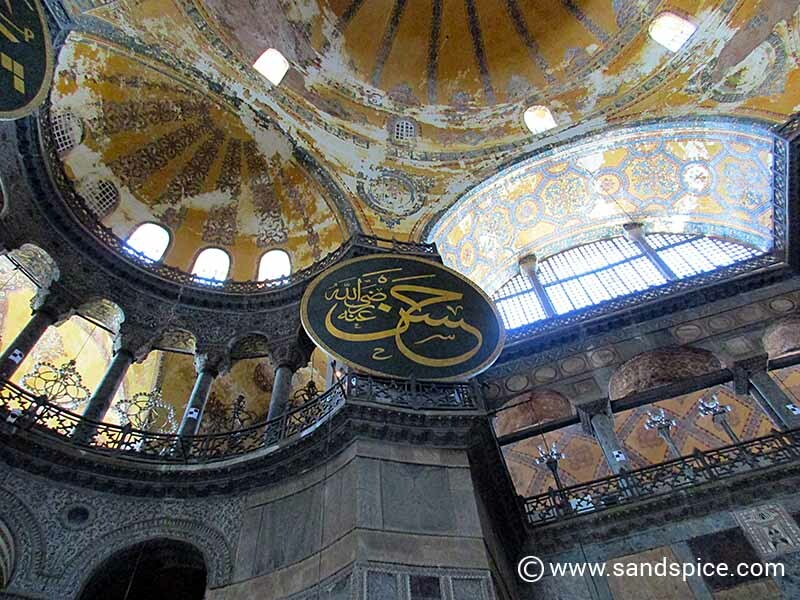 Though originally used as a mosque by the Ottomans, Hagia Sophia is now a museum. After passing the main entrance of Hagia Sophia, the first door you walk through is the Emperor Door. 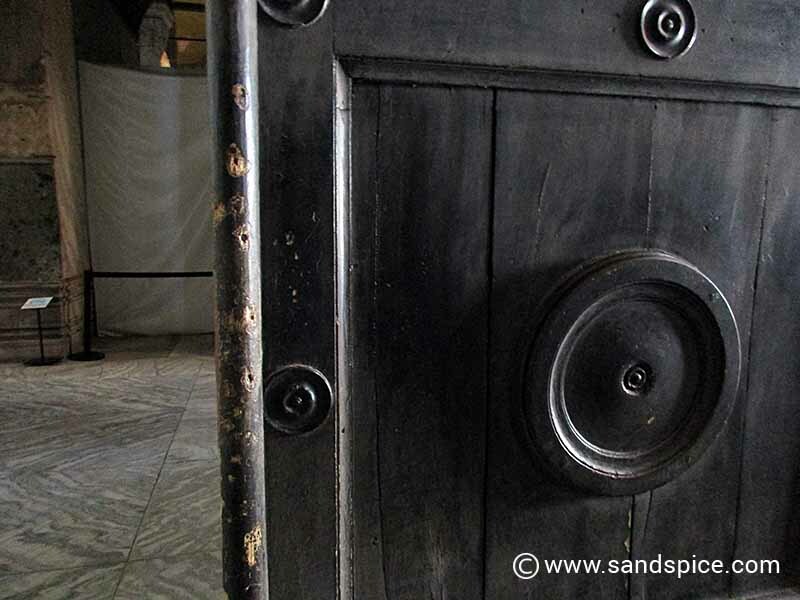 This door is the oldest artifact in Hagia Sophia. It is said that the core wood of the door originates from pieces of Noah’s Ark. The Emperor’s Door – Part of Noah’s Ark? Once inside, in the back corner of the nave you will find the Wishing Column. The column is clad in bronze with a hole at shoulder height. It’s said that if you do a complete clockwise circle with your hand while keeping your thumb in the hole your wish will come true. 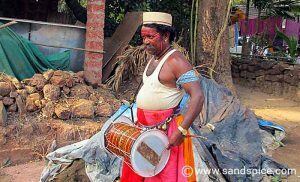 You have to be quite lithe and supple to achieve this. 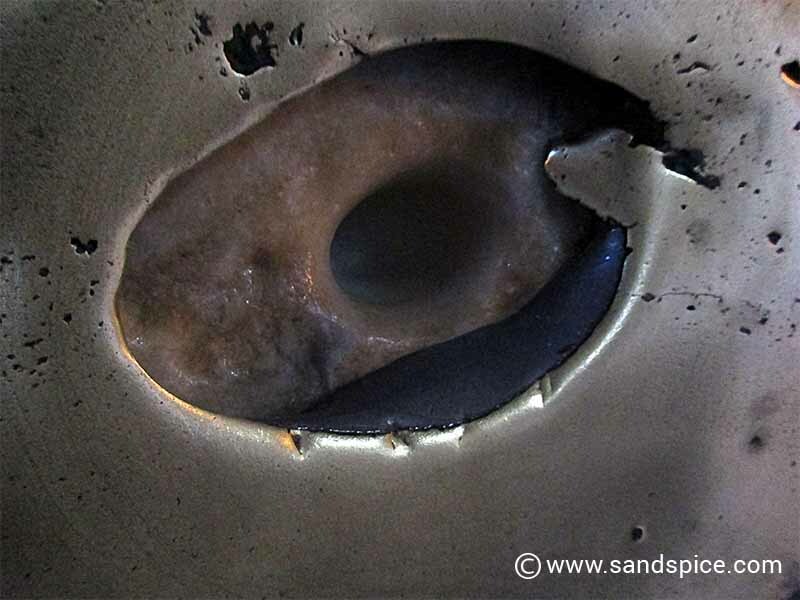 Over the years visitors have polished a circle on the bronze by spinning their hands on it. Looking up in the main area, you will see two large 24-foot wide black-and gold Arabic medallions. The medallions display the name of the Prophet Muhammad to the left and Allah to the right. You can purchase smaller reproductions of these stunning medallions in many of the city’s gift shops. 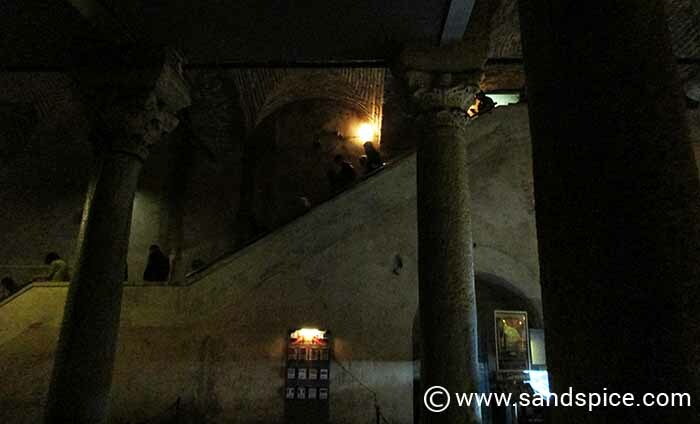 To get to the upper gallery, you will need to take an uneven and winding ancient ramp, like a ramp in a medieval castle. Apparently, these ramps were used by Sultans and Emperors who were often carried upstairs by their servants, or rode up themselves on horseback. One of the most popular mosaics in Hagia Sophia is the Deësis Mosaic located in the upper gallery. This mosaic was made in 1261 to mark the end of the 57-year occupation of Hagia Sophia by Catholic Crusaders. 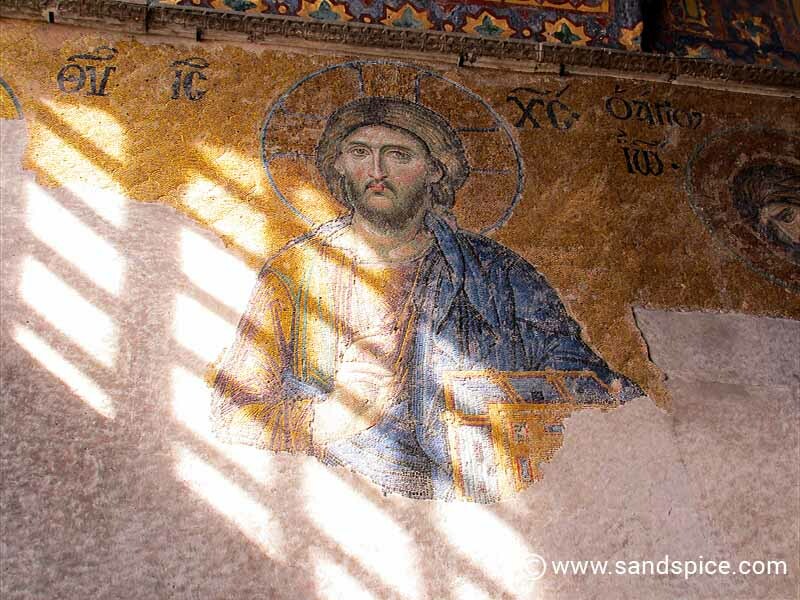 While damaged from the plaster that also helped to hide and preserve it during Ottoman rule, the Deësis Mosaic depicts Jesus flanked by Mary to the left and John the Baptist to the right. 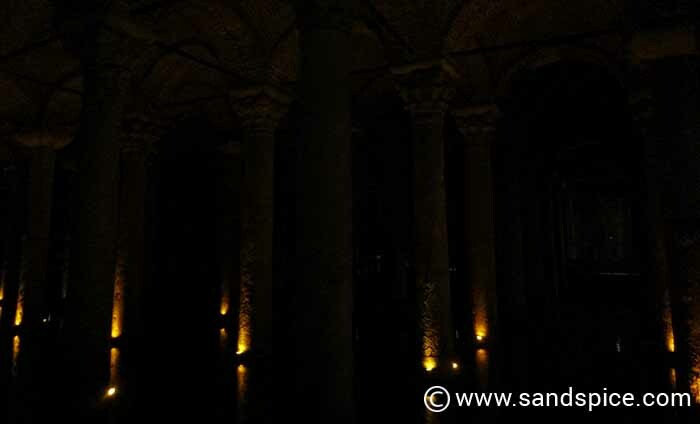 The grandest of the many underground water reservoirs in Istanbul is the ancient Basilica Cistern. Built in 532 AD, this reservoir can hold 27 million gallons of water. The whole underground structure is supported by dozens of massive 30-foot columns. 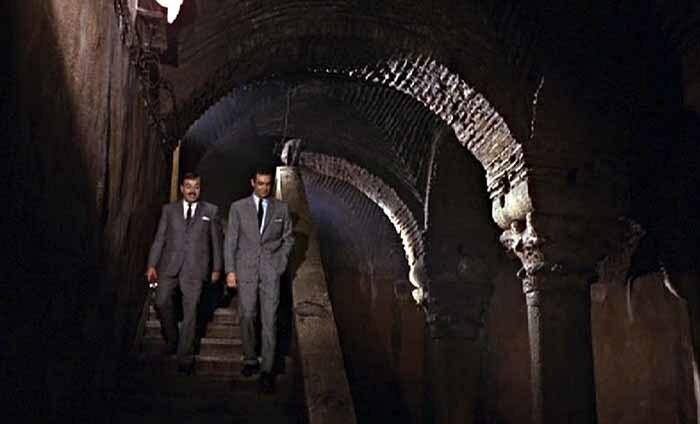 Movie goers may remember the Cistern as another location featured in the film From Russia with Love. In the cold-war era of the movie, the Cistern provides a clandestine route to the basement of the Russian Embassy. Take a coat or pullover with you if you visit the Cistern in the winter. The place is icely cold: Vendors working there are all wrapped up in front of their heaters. You can find the Medusa Heads in the far corner of the Cistern, dating back to the Roman period. They are used as column bases: One is sideways and the other is completely upside down. There are various legends as to why the Medusa Heads are not upright. My favourite? 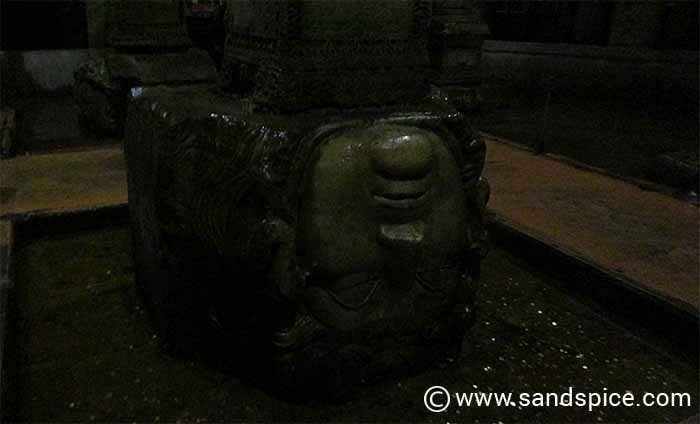 The heads were placed like this so anyone who looked upon them wouldn’t be turned to stone. 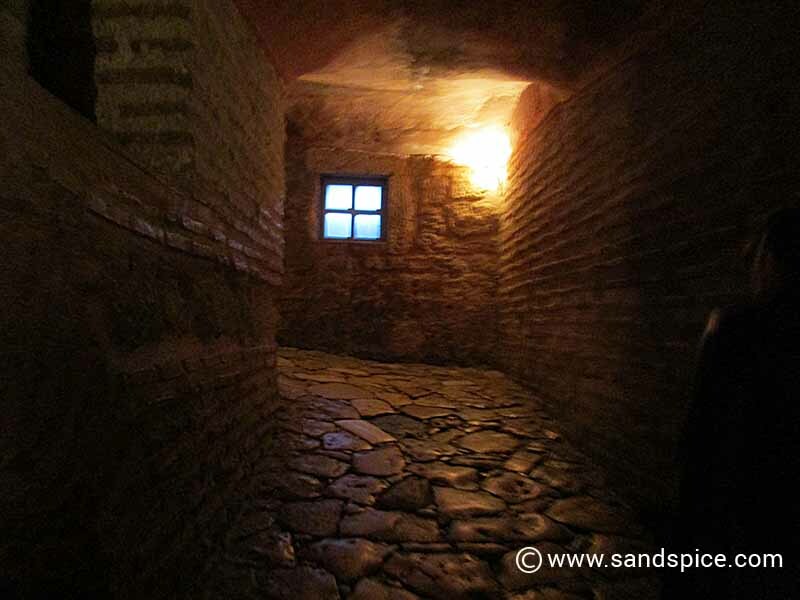 Entry fee to the Cistern was 20 TL when we visited. 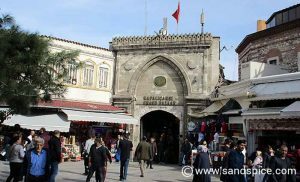 Finally, what about Topkapi? 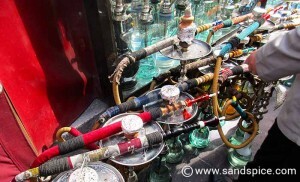 Or for that matter, the Bosphorus or the Spice Market? Many would say a trip to Istanbul is not complete without a visit to these other places. 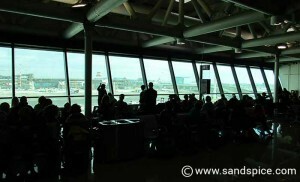 However, we had just 2 days – with equally important activities such as eating and shopping. There’s only so much culture we can effectively absorb in a couple of days, and sometimes it’s great just to sit on a park bench and watch the city life flow past. We’re planning to return to Istanbul sometime soon to enjoy more of what this fascinating city has to offer.